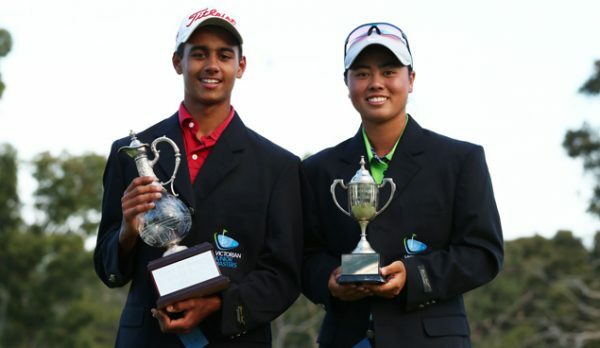 Filipino Yuka Saso and Queenslander Tyler Duncan endured hot conditions and strong fields to claim the 2018 Sportscover Victorian Junior Masters at Churchill-Waverley Golf Club. Saso entered the week one of the favourites and the 16-year-old showed why on Thursday, stealing the show with a new course record in the final round to win by 12 shots. Saso’s closing 7-under 66 eclipsed the course record of 68 set by Haley Moore (2015) and Yu-Chiang Hou (2016), the stunning display taking her to 10-under for the week. Saso’s scores of 70-75-71-66 saw her break par in three of her four rounds, the remainder of the girls’ field combining for just six sub-par scores across the week. Her five-shot overnight lead was a substantial buffer heading into Sunday’s final round but she didn’t let up, storming home to finish as the only player in red numbers over the four days. “I was pretty calm and focussed,” said Saso. In the Boys’ event, all the action was in the final four-ball of the day, Victorian James Walker surrendering his 54-hole advantage with a disappointing front nine. South Australian duo Jackson Kalz – last year’s winner and the reigning Vic Junior Open champ – and Frank Vukic stormed out of the blocks with three birdies between them in the first two holes. “Overnight I tried to not worry about the scores too much,” said Duncan. Kalz edged ahead once the final group made the turn and was staring down his third title on Victorian soil in 12 months before disaster struck. A double-bogey at the par-5 14th saw him drop back to 3-over for the week, while playing partner Duncan rattled home his fourth birdie of the day to surge to the lead. Four bogies in a five-hole stretch to start the back nine left Vukic four shots adrift of the outright leader, Duncan cruising home over the final four holes to win in style with a birdie at the 72nd hole. 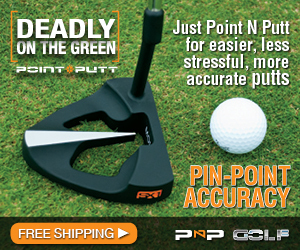 “To be honest I had no idea what the score was, I thought I was one behind or tied for the lead,” said Duncan. Vucic (74) locked down second place on the standings two strokes back at 2-over for the week, fellow South Australian Kalz’s (73) defence of his 2017 crown resulting in an outright third finish at 3-over.